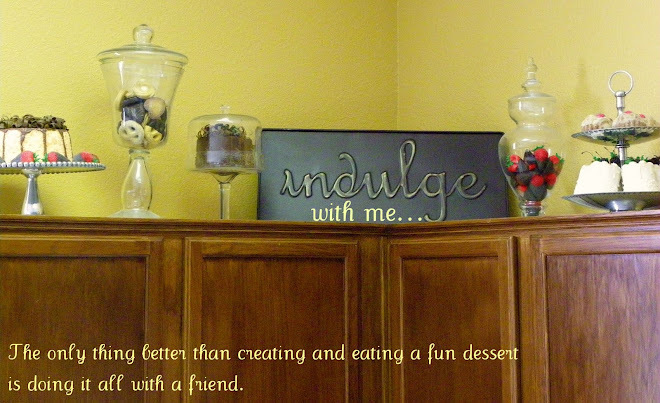 Indulge With Me: Love is Sweet! 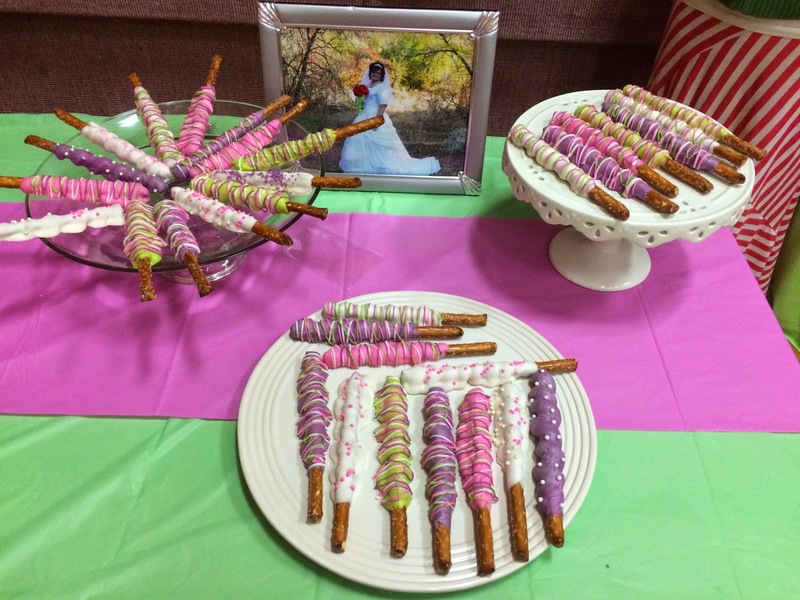 My cousin Darcey got married today in Utah and asked that my sister, sister-in-law, and I all help with her sweets table. 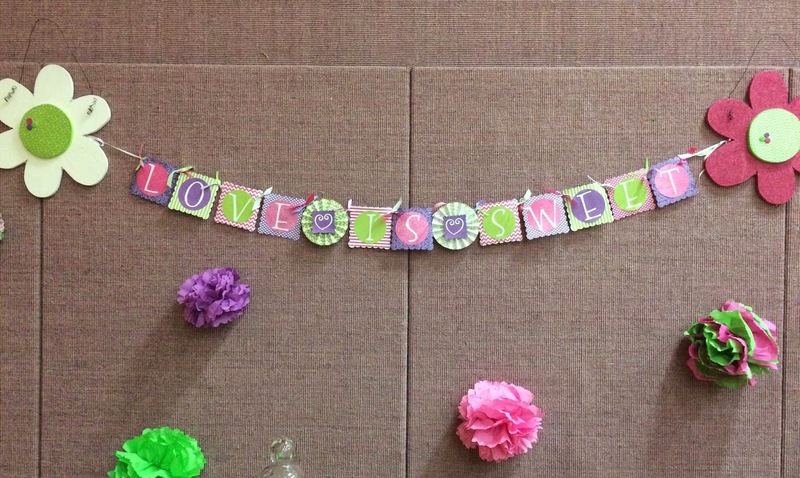 We weren't sure exactly what kind of space we would be dealing with until the morning before the wedding so things turned out different than we were expecting but the bride was happy. This was her yummy spread! Aren't her colors so fun! 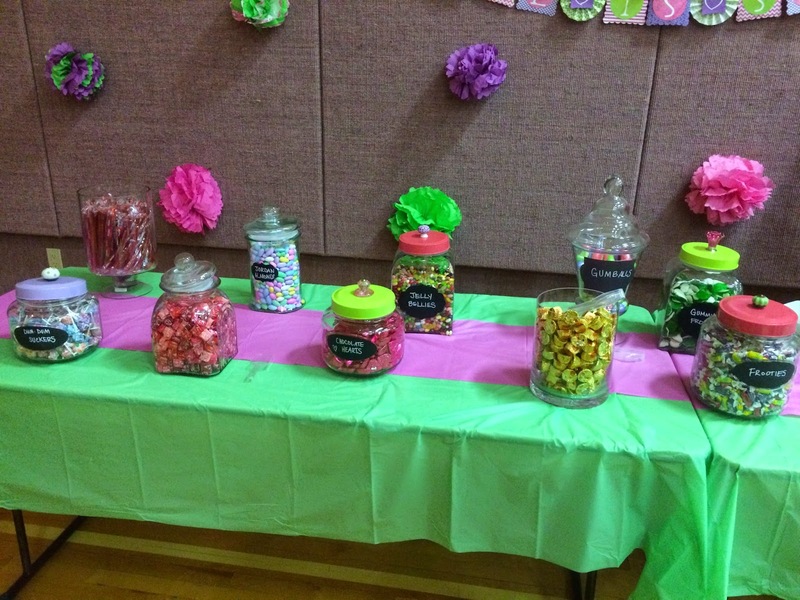 I love candy buffets and at a wedding, why that's even better! This was the favorite thing even for many of the adults. I loved her jars and all the yummy treats she used. 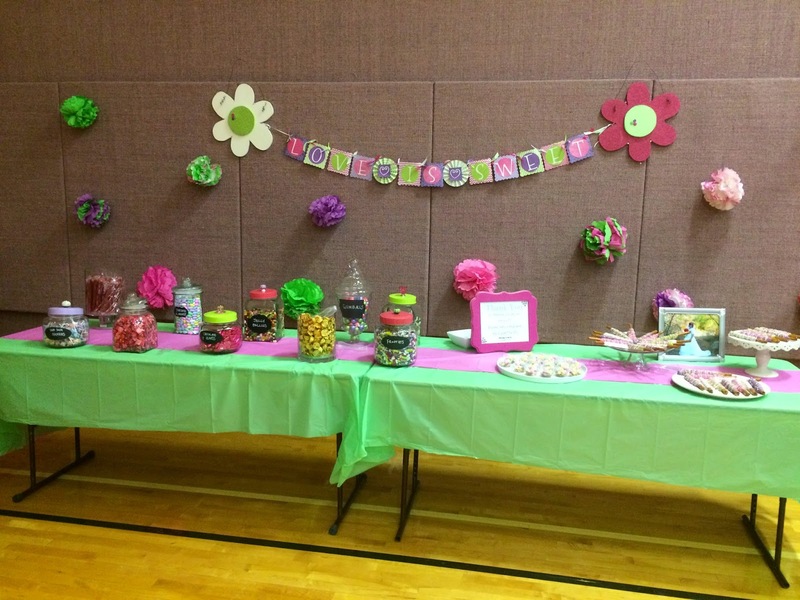 From the back row she had Twizzlers, Jordan Almonds, jelly bellies, Gum balls, gummy frogs, (front row-) dum-dums, Starbursts (reds,) chocolate red hearts, Reese's, and Tootsie Frootie candy. Seriously amazing! 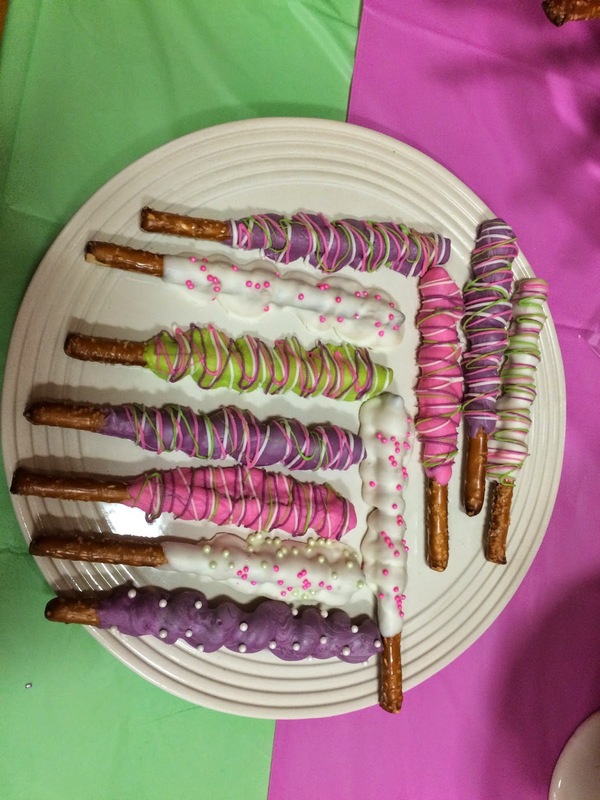 Bree, Dee, my mom, dad and I busted out these 100+ pretzels to add to the sweet table. We used my moms caramel recipe to wrap around the pretzels after it was cooled off. Caramel recipe:1 cup sugar, 3/4 cup karo syrup, 1 cup whipping cream, 1/4 cup of butter, and 1/2 tsp. vanilla. Add sugar, 1/2 cup of the cream and karo to heavy pan over low heat. Wash sides with hot water and don't let boil until sugar dissolves. Once sugar is dissolved turn heat up to medium. Add other half of cream slowly then add butter. Cook to 242 degrees. Add vanilla. Pour into greased 9x13 pan. Dee made all the caramel which was 6 batches and I think we ate 1 maybe 2 whole batches the few days I was there. It's so yummy! We tend to do this whenever we get together for a wedding. The last time we turned our insides into caramel was for my sisters wedding. It was during Christmas time and Dee was making caramel to give away and we overcooked it which was my fault. It was too hard to give out but we couldn't throw it away plus we actually liked it that way so we ate the entire 3 batches during that crazy time. What a fun memory! 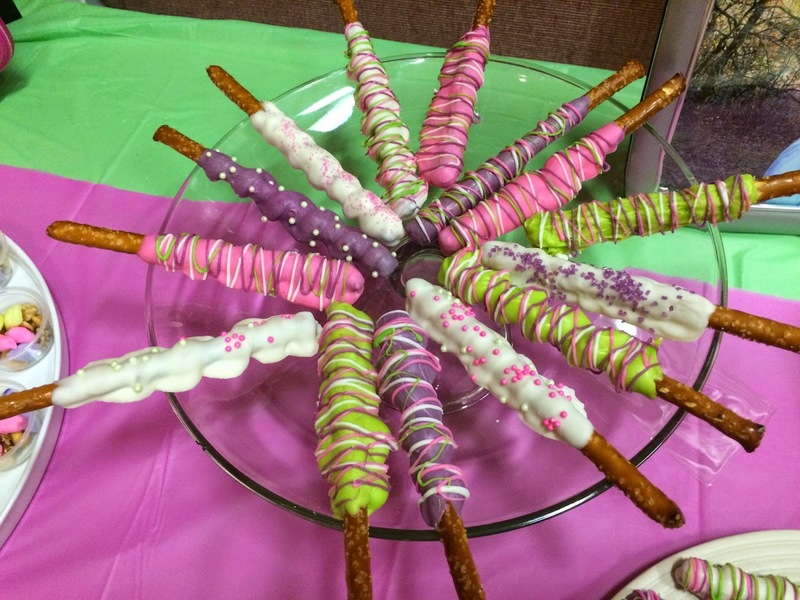 After we wrapped the caramel around each pretzel we covered them in white almond bark, or green, pink, or purple candy melts. 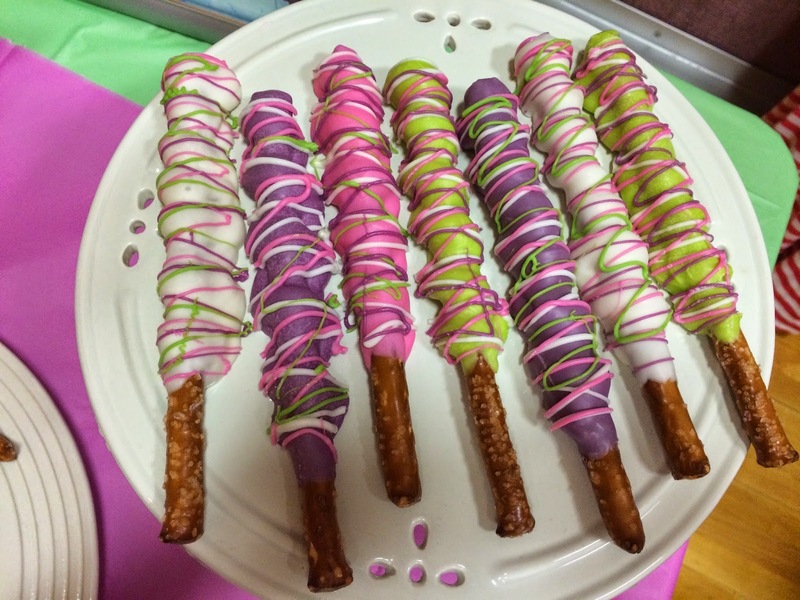 We covered some in sprinkles but drizzled most of them. I love all these colors! Thanks for the memories family!! It was super fun being with you this weekend. 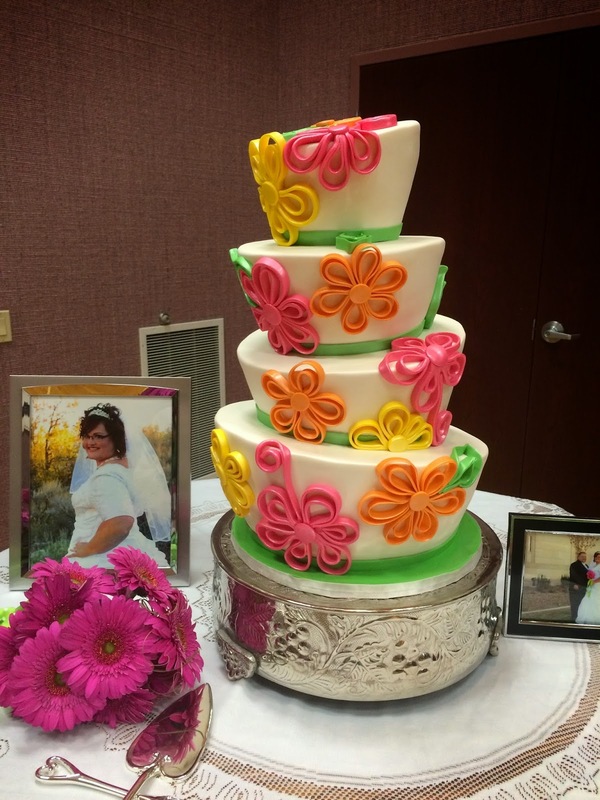 This was her cute wedding cake! I was shocked that the cake lady decided last minute to not add the purple because it didn't go with the pink and green so she decided to add orange instead. WOW, are you kidding me? Good thing it still looked fabulous and I don't think anyone noticed it.